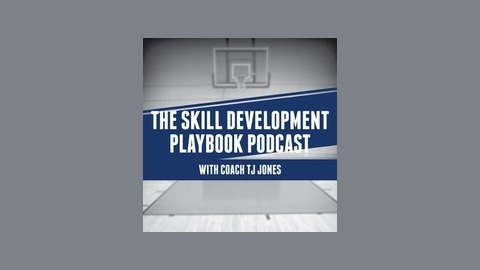 Skill Development Playbook is the only podcast that solely focuses on basketball skill development. 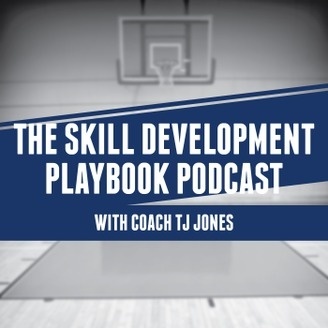 If you are a coach, player, or parent that would like to get insights from some of the best basketball minds in basketball on skill development, then you have come to the right place. Coach TJ interviews the world's best trainers and coaches who share: what skill development means to them, how they prepare for a workout, advice for players who workout on their own, and much more. Coaches then end the interview by saying who are the FIVE PLAYERS FROM ANY ERA, DEAD OR ALIVE, MALE OR FEMALE they would want to coach for their ULTIMATE BASKETBALL TEAM. Some of Coach TJ's featured guest include Cody Toppert, Jim Boone, Mark Adams, Randy Brown, and Leigh Klein of Five-Star Basketball. Coach Randy Brown has learned from some of the best coaches in the game. Coach Brown gives his insight on how to teach shooting, the importance of footwork, and how game relevant drills can really improve a players skill set. You don't want to miss this episode. You will surely pick up some great nuggets to implement into your program no matter your coaching level.